This is Prey for Business feature. In case you wish to have several users into your Prey account, contact us from your Prey account. By default Prey has the 1-account-1-user paradigm. Every email address is associated to a single account, with a single API key, and so on. This can be overridden for large accounts, which support several users under the same account, sharing all or part of the device management. This is useful when you have several admins for your Prey account, and also for Bring Your Own Device programs. 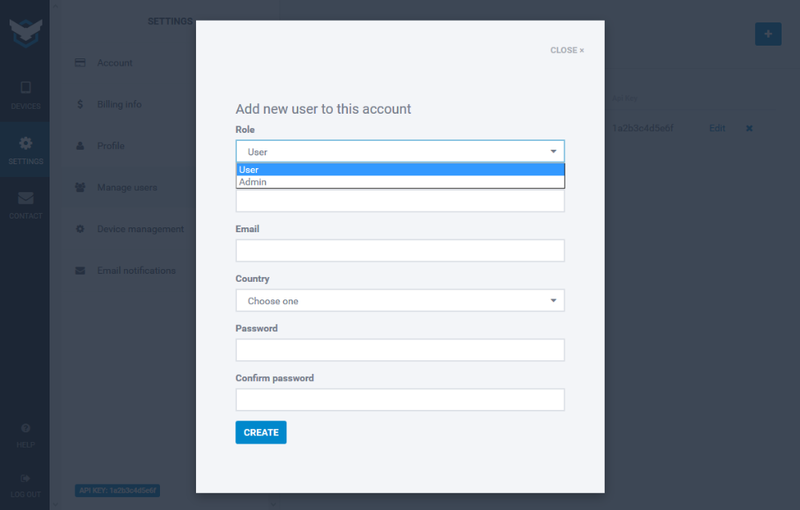 How can I have a Multi-User account? First of all, you need a business account. Those are ones with 30 or more device slots. If you want to upgrade, or if you already have 30 and wish this feature to be enabled for you, contact our team from your account. I already contacted the team. Now what? 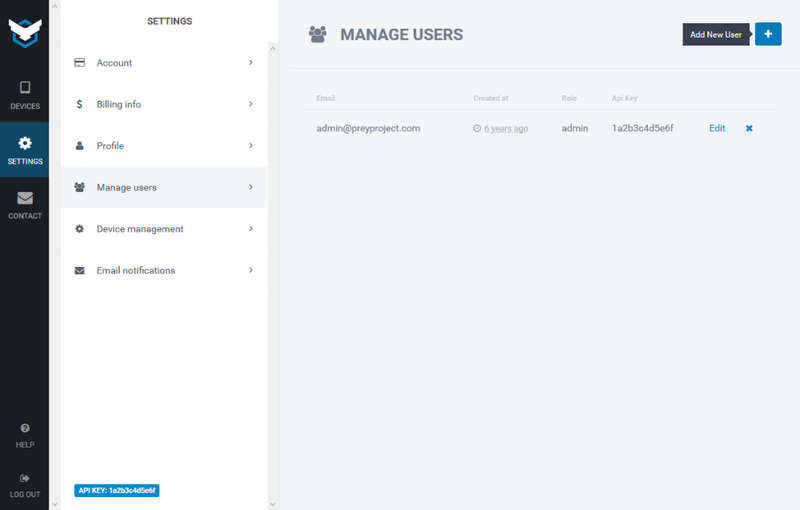 Once the team enables the feature for you, log into your Prey account, and then into the new Manage users tab. You should only have a single user, your former one. Now that your account is an admin, you can add as many more users as you wish. There's no limit to that. You just need to be careful about your device slots, because every user can add unlimited devices until the global device slot quota is reached. You can assign two different roles for each user, admin and user. Admin: Can manage every device of every user under the account. User: Can only manage device added by itself, and can't see the ones added by others. Should I create admins or users? It all depends on your requirements. A team of IT managers should probably all be admins, and be able to manage every device no matter who added it. Users would be a great idea in case you have several offices, so you can create a user per location. This way every IT manager would be able to control their devices, and you can cut up costs by subscribing to a single, large Prey account instead of several smaller ones. Device ownership can't be transferred. Once you add a device under a user, you'll need to completely uninstall Prey from the machine, and then reinstall, to see it added under a different admin or user. Also, as mentioned above, you can't set a limit of devices per user or admin. Any user could potentially use up all the slots from your account. Use this only if you trust your users.